I’ve learned that there are 3 main challenges in working with soft circuits. 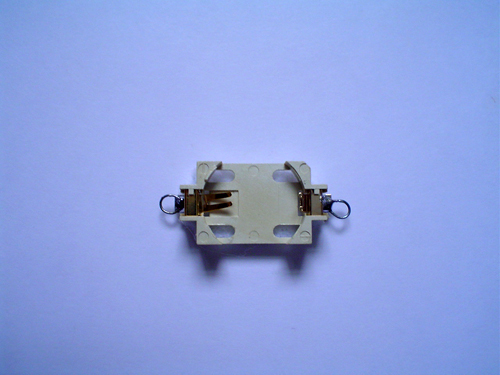 The first one is to create circuitry with materials that are almost always completely exposed: a lot of thought goes into the layout of the circuit to not only avoid accidental shorts during normal wear, but also to avoid crisscrosses between conductive materials within the circuit layout. The second one is to think in 3D: more often than not your circuit can’t be applied to a single flat surface and you have bits and pieces spread out over several areas or layers of the piece. The third one is to find ways to connect hardware with soft conductive materials: sometimes you just need to use hard electronic components or a board. This is the classic method everyone working with soft circuits knows and loves. 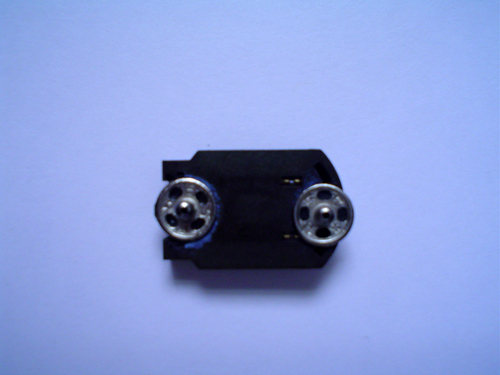 You simply curl the legs of any long leg electronic component, forming a little ring you can then sew to. I’ve used this method with LEDs, transistors (careful, the legs on transistors break very easily), resistors, photoresistors, and even electrical wire. Since my conductive thread frays a lot and tends to come loose after a while, I usually finish it up with a drop of wire glue (more about this below). When I really must use electrical wire, which is the case when working with EL wire, I prefer the stranded kind, which is more flexible that the single-strand. In this case, the first thing to do is twist all the small-gauge wires together and then apply a bit of solder to bond them. After forming the ring, apply some more solder to it in order to get a more solid shape to sew to. I’ve often found myself in a situation of having to work with conductive pads, which leaves out the preferred curled legs method. So I made a few experiments and found out that wire glue is perfect for these situations. 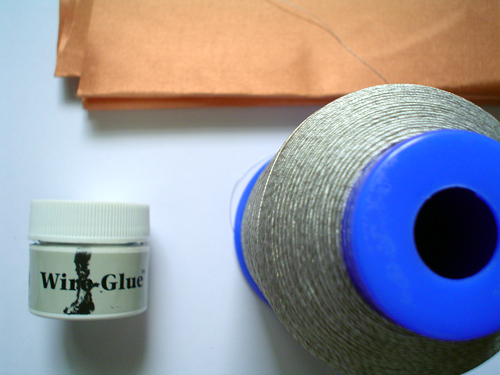 Unlike conductive ink and conductive epoxy, wire glue is very cheap. It’s also easy to obtain and work with. While wire glue is not particularly good as a glue, it is a very reliable conductor. Gluing the fabric or thread directly to the pads never really worked for me: it comes off too easily and I haven’t found a good way to reinforce the bond. But metal snaps are just perfect for the job! I apply a bit of wire glue to the conductive pad and then, using tweezers, carefully place the male half of the snap on top of it. 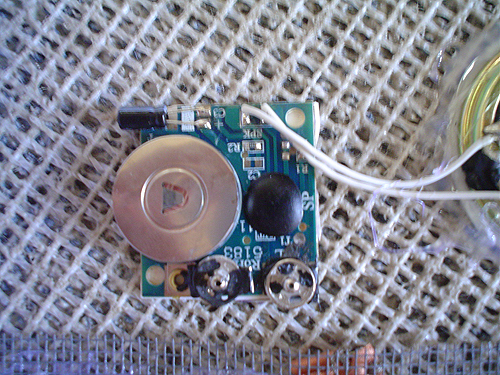 Just the wire glue wouldn’t be strong enough to keep the snap there once you start snapping and unsnapping your circuit. But, after the wire glue has cured (leave it for a few hours), you can add a couple drops of super glue. This doesn’t affect the conductivity or the connection and ensures a pretty strong bond. 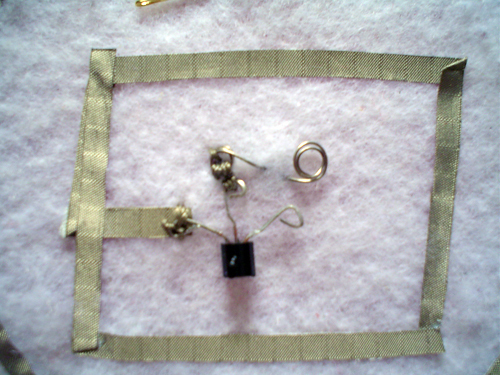 Once that’s done, you can just add a strip of conductive fabric to the soft part of your circuit and, using conductive thread, sew the other half of the snap on it. This is very similar to the method described above, except that instead of using snaps you’d strip a piece of electrical wire, make a little ring with it, and solder the ring to the contact pads. This is tricky to do on very small components, such as surface mount LEDs, but not complicated at all with bigger pads.